Nick Pope (Goalkeeper), Tom Heaton (Goalkeeper), Anders Lindegaard (Goalkeeper), Adam Legzdins (Goalkeeper), James Tarkowski (Centre-back), Ben Mee (Centre-back), Kevin Long (Centre-back), Charlie Taylor (Left-back), Stephen Ward (Left-back), Matthew Lowton (Right-back), Phil Bardsley (Right-back), Jack Cork (Defensive midfield), Ashley Westwood (Defensive midfield), Jeff Hendrick (Central midfield), Steven Defour (Central midfield), Robbie Brady (Left midfield), Johann Berg Gudmundsson (Right winger), Aaron Lennon (Right winger), Chris Wood (Centre-forward), Ashley Barnes (Centre-forward), Joe Hart (Goalkeeper), Ben Gibson (Centre-back), Dwight McNeil (Left winger), Matej Vydra (Centre-forward), Peter Crouch (Centre-forward). Sent letter, 2 photos and 4 pics, SASE, and asked to sign the pictures and asked for an signed autograph card. I was very pleased to receive all the pictures signed and to receive a signed autograph card. Sent: 8.8.2018, received: 12.11.2018. 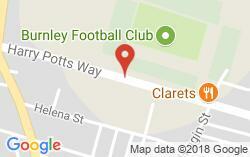 Address used: Burnley FC, Harry Potts Way, Burnley, BB10 4BX, England Sorry, I could not upload my pictures.